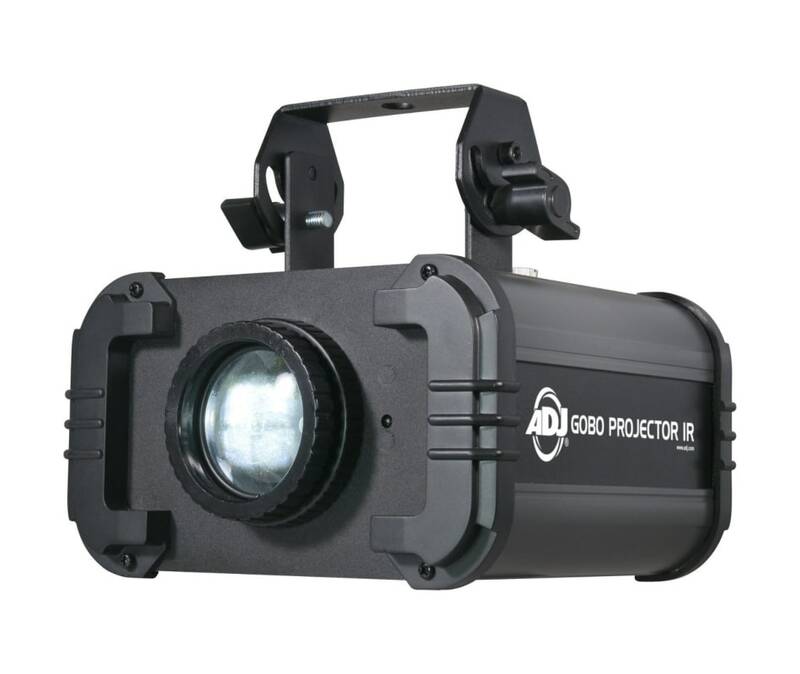 The Gobo Projector IR is a 12 watt LED projector that comes with 4 GOBO patterns and 4 color gels. Custom GOBOs may be inserted for monogramming events or company logos for corporate functions. There is a FX switch on the rear panel to control rotation or static movement.